Wednesday afternoon much of Monday nights snow had melted and I was shocked to see the narcissus which had been buried under the snow for two days. 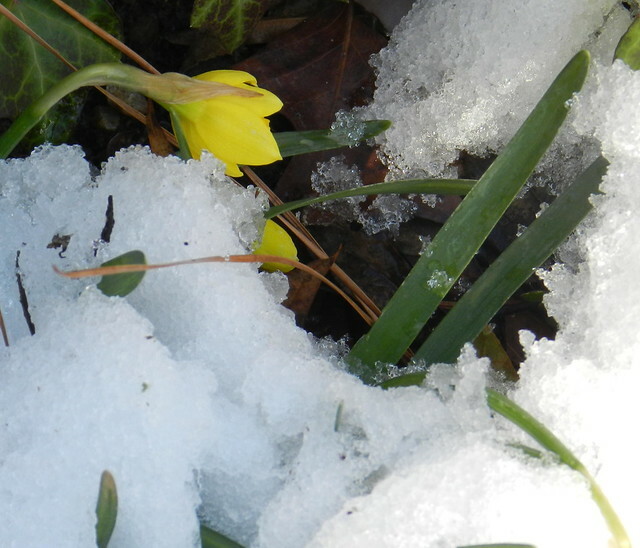 I never would have guessed any blooms had been nestled under the snow. I took a shot because I knew if we got the forecast Wednesday night snow they would be buried again. We did get the Wednesday night snow and on Thursday I photographed my white camellia bushes (no white flowers but white nonetheless). 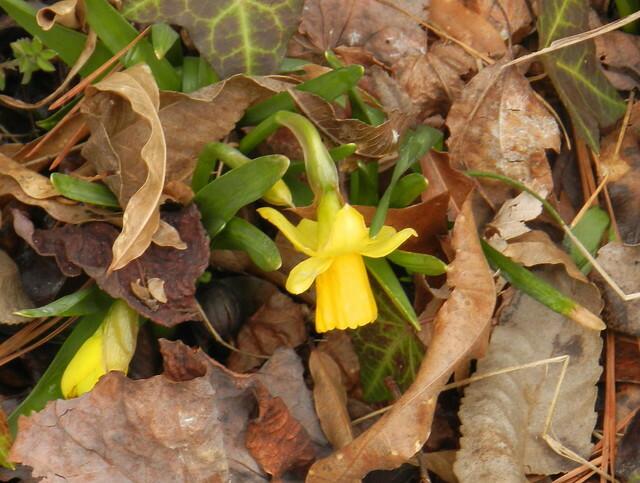 Friday afternoon when some of the snow melted I went in my backyard to see if I could see the narcissus yet. The reason it looks so icy is we had some sleet on top of the snow and then it was so cold Thursday night that everything that started melting froze solid. I was rewarded although doubtful as cold as it's getting tonight they'll survive without being wrapped in a total snow blanket like they were with the other cold nights. 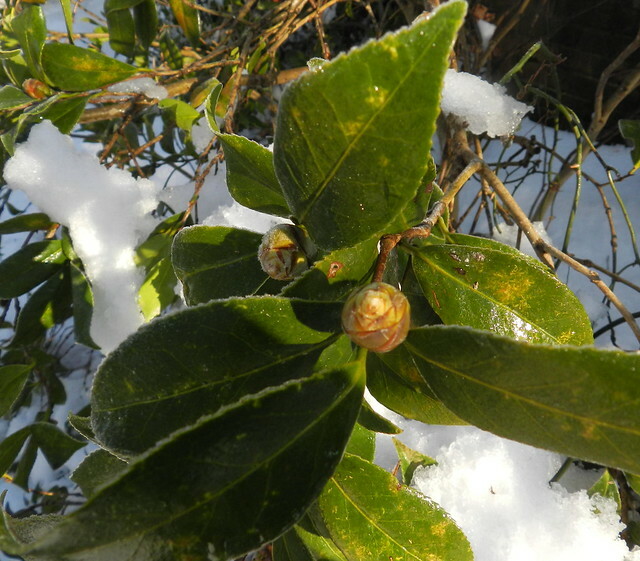 Some of the snow had dropped off my camellia bushes and they have small enough buds that I expect they'll make out o.k. My neighbors red camellia buds were larger and they turned black in the cold, sleet and snow. Click here for the home of Today's Flowers. It is hard to be a spring flower....so glad your made it. I expect to see snow on mine again this year too. That is if we ever get out of this winter. What a delightful surprise Carver and such a sturdy little flower. 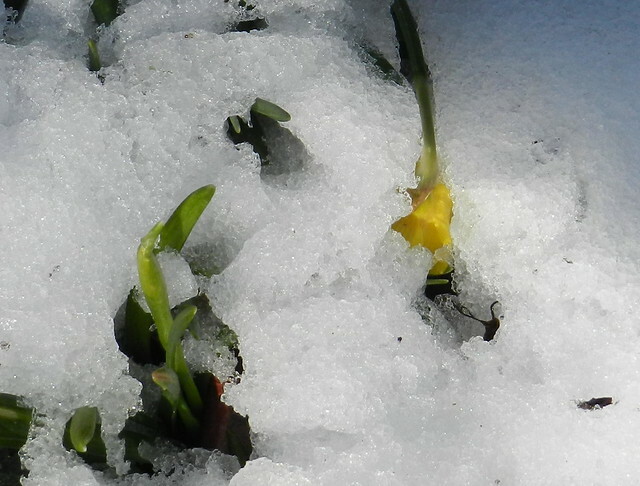 Hope for Spring :) thanks for sharing and have a great weekend. That ice on top of snow looks dangerous. Be careful out there! Poor little flowers! We used to lose our narcissis and daffys to heavy rain quite often. They'd just get beaten down . I hope yours survive. 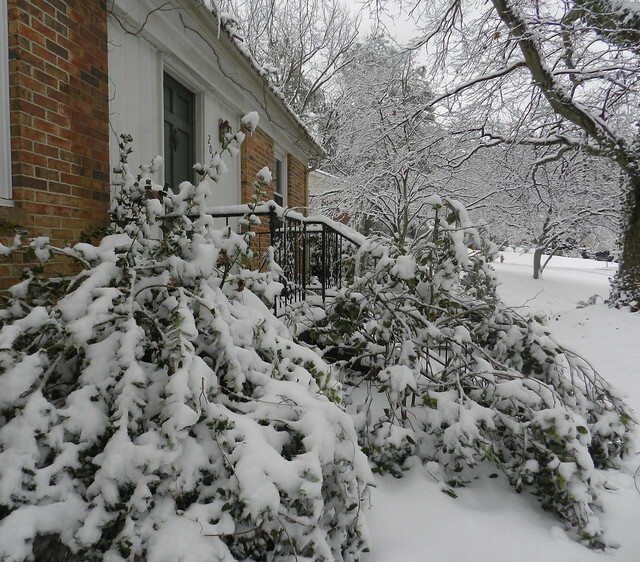 And freeze/thaw/freeze cycle has to be hard if not fatal to those delicate camellia buds. Drat! Poor flowers! I hope they'll survive.